Shadows. 1984: Jack Wagner debuted as Frisco Jones on GH. 1998: One Life to Live's Téa tried to figure out Todd. 2006: Passions aired a Bollywood episode. 1931: Clara, Lu & Em shifted from WGN to the NBC Blue Network, one of the earliest radio soap operas. Listen to the episode here. 1953: On The Guiding Light, Meta Bauer White prepared for the worst. 1971: Jonathan Frid made his final appearance as Barnabas Collins on the ABC daytime soap opera Dark Shadows. The episode was also the last time viewers saw Elizabeth Collins Stoddard, Flora Collins, Julia Hoffman, Timothy Eliot Stokes, Angelique, Leticia Faye, Desmond Collins and Lamar Trask in the original series. 1972: On The Edge of Night, Orin (Lester Rawlins) fought with Nurse Hubbell and ordered her out of the house. 1977: On Ryan's Hope, Dr. Wolfe told Jill (Nancy Addison) that her rest and isolation may have saved her baby. Seneca (John Gabriel) admitted to Jill that Frank was in the Dominican Republic getting his divorce, but thought under no circumstances Frank would ever raise Seneca's child. 1983: Actor Robert Christian died of AIDS-related complications in New York City at age 43. Christian appeared on All My Children and Search for Tomorrow, but his biggest soap role was as Bob Morgan on Another World. Christian's AW co-star Petronia Paley (Quinn) spoke about him in a 2011 interview with We Love Soaps. "The first love interest I had on the show was Robert Christian, and he was a wonderful, wonderful actor," Paley said, "and we got along so beautifully. He died tragically, from AIDS, and it was working on that show that I learned about it. In fact, he was one of the first people diagnosed, so it was a sad and tragic time. I had this lovely person who I loved working with, and we had such a great time, and yet it was such a tragic end for him." 1984: Jack Wagner debuted as Frisco Jones on General Hospital. Steffi (Elissa Leeds) introduced Blackie (John Stamos) to Frisco, the new lead singer of his band, Blackie and the Riff Raff. Blackie had reservations about Fisco but the rest of the band took to Frisco immediately. Thanks to Kellie for sending in the item above. 1984: On Days of our Lives, Speed (Robert Romanus) was a bad influence on Pete Jannings (Michael Leon). 1986: On Santa Barbara, as Gina DeMott Capwell (Robin Mattson) defiantly left the Capwell mansion, she told the entire family she didn't want anything that reminded her of that house. When Mason (Lane Davies) reminded Gina that she purchased her dress with Capwell money, Gina stripped off all her clothes, threw it at the family standing across from her and walked out. "You can take it,. As a matter of fact you can take all of it," Gina said. "You happy now? Now you've got it all. But you haven't got me, and you have not got my son. And you'll wish you given me what I wanted and offered me more because I'm going to make you pay." 1988: On Another World, Felicia (Linda Dano) and Mitch (William Gray Espy) spent a romantic evening at home and became engaged to be married. 1993: On The Young and the Restless, Traci Abbott (Beth Maitland) made a surprise return to Genoa City. 1997: Florencia Lozano debuted as Téa Delgado on One Life to Live. 1998: On One Life to Live, Téa (Florencia Lozano) told Todd (Roger Howarth) she would never understand him. 2006: Passions aired its "Bollywood" musical extravaganza. This special episode was built around Gwen (Liza Huber) and her husband, Ethan Crane (Eric Martsolf), moving to India for his new job--a development that led Gwen to fantasize about what life would be like without her nemesis, Theresa Lopez-Fitzgerald (Lindsay Hartley), always in it. 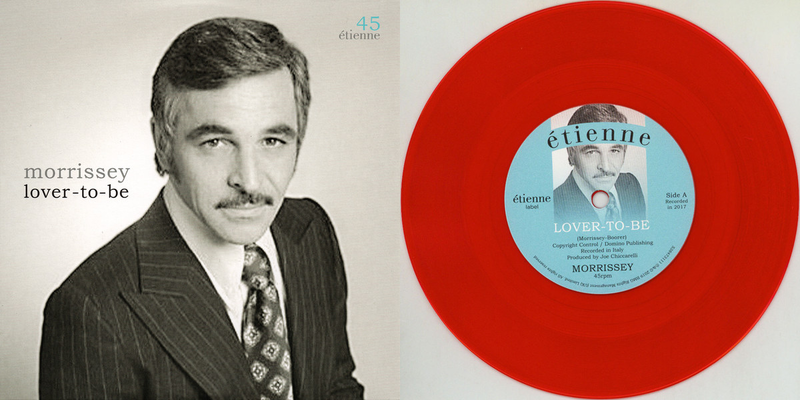 The original song, "Love Is Ecstasy," won the Daytime Emmy for its category.